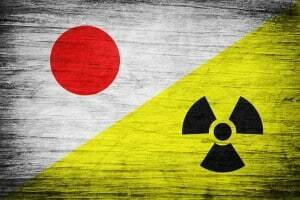 Fukushima is back, contaminated water is released into the sea. Let us use this opportunity to discuss a bit Japanese politics. It fits quite well with the 68th anniversary of the Hiroshima bombing. Being a technologically advanced country unfortunately does not mean that intelligent of responsible persons are elected and leading the country. The recent reascent of Shinzo Abe to political power as prime minister has turned this country to the fore front of nationalist liberalism. Abe, who doubted (still doubts?) the use of Comfort Women (although officially acknowledged by the government), who prefers to rewrite history, contributing to the formation of national consciousness, neither last neither least, who wants to restart all the atomic reactors. this Abe is changing the political landscape. Why don’t we learn from the way the Nazis in one day changed the Weimar constitution to the Nazi constitution. Admitted, he later retracted this statement, partially, he didn’t mean it that way. Well, considering his history of statements (“elderly are a burden for the country“, “Japan should be a country where rich Jews want to live“, etc) the apology, or better explanation, does not sound too convincing. So where are we heading? I don’t think Japan is better or worse than other countries, especially right-wing led countries, in this respect. Let us face the truth: Considering the achievements our society is proud of, like Women’s voting right, social security, workers’ rights, health care: It was always based and instigated by a left-wing movement. Liberal/right-wing parties, traditionally allied with companies (seeing the amount of influence companies have on politics here in Japan is scary) never ever did something lasting for the population. Now that the political landscape in Japan is extremely void of interesting and worth-to-be-called opposition, combined with the inherent incapability to Civil Disobedience, we are left in the hands of a back-handedly paid government influenced by lobbyist, driving this country into a very bleak future.